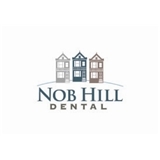 Nob Hill Dental or Maria Pham DDS (San Francisco) - Book Appointment Online! Thank you for taking the time to learn more about Nob Hill Dental. Dr. Maria Pham is a Nob Hill dentist who works hard every day to provide her patients with effective, friendly, and affordable dentistry. In fact, our entire staff is focused on providing exceptional and attentive care. Our goal is simple: we want to earn your trust and your business by providing you and your family with friendly, "neighborhood" care. This means that we actually take the time to learn your name. We empower you to make informed decisions by helping you understand your oral health, and by taking a genuine interest in your well-being. Let us help you attain and maintain a health, beautiful smile! Our central location is just a short walk, drive, or ride from these great San Francisco neighborhoods: Russian Hill, Pacific Heights, Downtown, North Beach, SoMa, Marina, and Financial District. Great place!! I will definitely be going back!